Since Pluto was infamously demoted to a dwarf planet in 2006, some astronomers have turned their attention to finding the true Planet 9, a hypothetical, Neptune-sized world that orbits the Sun at least a few hundred times further out than Earth. While there’s no shortage of ideas about what Planet 9 could look like—or what it may have experienced throughout its life—so far, no one has been able to spot this elusive world. 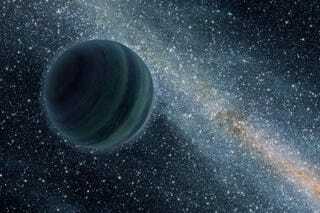 But a new project called Backyard Worlds: Planet 9 could be a game changer in this most epic hunt. The endeavor, which is a collaboration between NASA, UC Berkeley and other institutions, allows everyday space enthusiasts to search for brown dwarfs and other objects beyond Neptune’s orbit, including Planet 9. 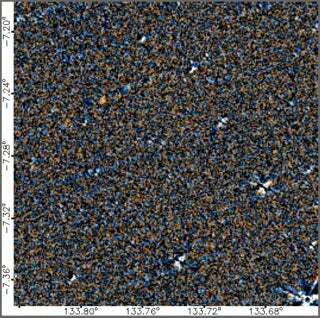 Here’s how it works: On Backyard World’s website, users can look through millions of “flipbook” movies made from images captured by NASA’s Wide-field Infrared Survey Explorer (WISE) mission, which ended in 2011. Though the mission is no longer active, WISE provided some of the most comprehensive images of the sky that we have, making it an ideal “map.” If Planet 9 is out there, it’s gotta be somewhere in these flip books—probably looking a little blueish. At least that’s the idea. Example of the WISE ‘flipbook’ movies citizen scientists can look at to hunt for Planet 9. Image: NASA/WISEBackyard Worlds wants as many eyes on these images as possible, which is why everyone’s invited to take part. While that might sound strange, given how unbelievably precise computers are, our plain ol’ eyeballs can do a better job recognizing moving objects and ignoring the rest of the “noise” in these images. According to NASA, this is similar to the technique Clyde Tombaugh used to find Pluto in 1930. If Planet 9 is truly out there, one of us is going to find it, goddammit. Ad astra, space comrades! What's Up With Planet Nine?